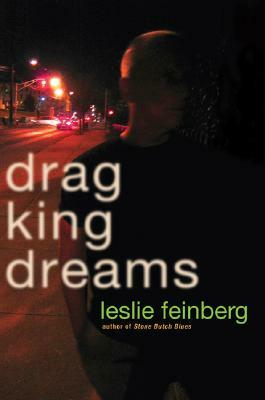 [mild spoilers] On the one hand, and probably the reason I enjoyed it so much, Drag King Dreams is a deeply political novel. Not just because it deals with subjects that are always politicized (trans* people and racialized people, especially), but because it is about Max’s political reawakening. I absolutely love Stone Butch Blues, but I wasn’t nearly as impressed with Drag King Dreams. I’ll be interested to hear your thoughts about SBB; I hope you don’t have the reverse reaction! Huh, that will be interesting to compare them! I hope that I’ll like it even more.